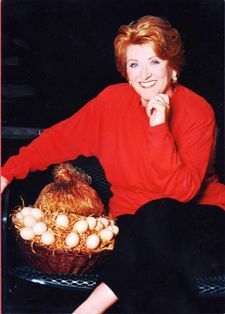 Fannie Flagg, a Birmingham native, has been named the 2012 recipient of the Harper Lee Award for Alabama’s Distinguished Writer of the Year. Flagg will receive the award at the Alabama Writers Symposium in Monroeville on April 27, 2012, at the annual luncheon. The conference will meet April 26-28. “I am absolutely thrilled and honored to receive this award—particularly this award named in honor of my idol Harper Lee,” said Flagg. A New York Times bestseller, Flagg is the author of the novels I Still Dream About You (Random House, 2010); Can't Wait to Get to Heaven (Ballentine Books, 2007); A Redbird Christmas (Random House, 2005); Standing in the Rainbow (Ballentine Books, 2002); Welcome to the World, Baby Girl! (Ballentine Books, 1998); Fried Green Tomatoes at the Whistle-Stop Cafe (Random House, 1987); and Coming Attractions: A Wonderful Novel (1981; reprinted as Daisy Fay and the Miracle Man, Ballentine Books, 1992). Her writing awards include the Alabama State Council on the Arts Distinguished Artist Award (2001), First Place in Fiction Award from the Santa Barbara Writers Conference (1978), and others. Also known for her work as an actress, producer, and writer for stage, film, and television, Flagg received an Academy Award® nomination and the University of Southern California Scripter Award from Friends of USC Libraries for her screenplay, Fried Green Tomatoes, an adaptation of her novel. Flagg presently divides her time between California and Alabama. The Harper Lee Award is made to a living, nationally recognized Alabama writer who has made a significant, lifelong contribution to Alabama letters. It includes a cash prize and a bronze sculpture by Frank Fleming of the iconic Monroe County Courthouse clock tower. The courthouse is a setting for Lee’s novel To Kill a Mockingbird. Flagg will read selections from her work in the courthouse on Saturday, April 28. This year is the fifteenth annual Harper Lee Award. Previous recipients include Winston Groom (2011), Carolyn Haines (2010), Rick Bragg (2009), Rebecca Gilman (2008), William Cobb (2007), Wayne Greenhaw (2006), Andrew Hudgins (2005), Sonia Sanchez (2004), Rodney Jones (2003), Mary Ward Brown (2002), Sena Jeter Naslund (2001), Helen Norris (2000), Madison Jones (1999), and Albert Murray (1998). For more information, contact Danny Gamble at the Alabama Writers’ Forum 205-665-7986 or gambledanny@bellsouth.net. Photo: Fannie Flagg by Suze Lanier.